Carrie Park of South Korea sealed a hat-trick of Sunshine Ladies Tour titles with a stunning wire-to-wire victory in the 2018 Dimension Data Ladies Pro-Am on Sunday. The 21-year-old from Seoul came into the final round with a four shot lead after rounds of 68 and 69 at George Golf Club. 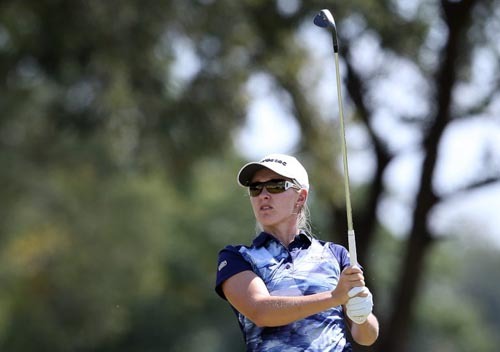 A 65 at the Outeniqua Course at Fancourt extended that margin to a nine shot victory over nearest challenger Stacy Bregman. The Investec Property Fund Order of Merit leader mounted a late charge, as did Valeria Martinoli from Switzerland, but it was all too little, too late. Two under at the turn, Park birdied the par four 13th and made four one-putts for four birdies on the bounce over the last four holes to blast the opposition away. And it was a double celebration for Park and amateur partner Louise del Balzo, who won the Pro-Am competition by four shots on 22-under from Martinoli and partner Simona Stanton. 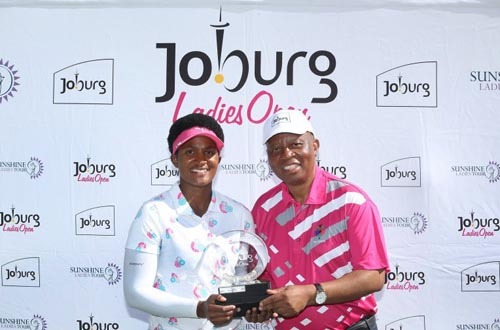 The victory was the culmination of a meteoric rise for Park, who played for Gauteng North Golf Union from the age of 14. She topped the Womens Golf South Africa Rankings before she joined the pro ranks in July 2016. 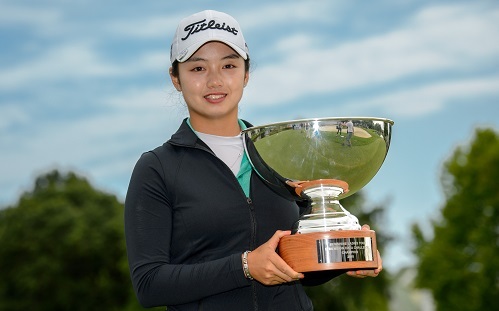 In just her second start on the local circuit last year, Park celebrated a maiden victory in the South African Women’s Masters and collected her second trophy with a play-off win in the Sunshine Ladies Tour Classic, presented by Canon South Africa. “I am very sad that I can’t defend my title next week and that I am missing the Investec South African Womens Open,” said Park. “Unfortunately I have a schedule conflict with the Korean LPGA Tour, so I have to go home. Reigning Investec Property Fund Order of Merit leader Bregman has a frustrating start, but warmed up the short stick to rack up four birdies over the last nine holes for a 70 and second on five-under. Martinoli offset four early bogeys with a trio of gains, but a late bogey at the par four 16th for a 72 saw the Swiss golfer slip to third on two-under. Defending champion Nicole Garcia bogeyed 13 after 12 straight pars. She dropped another shot at 15, but rallied with birdies at 15 and 18 for a 72 to finish in fourth on level-par. Three-time Sunshine Ladies Tour winner Kim Williams closed out the top five on one-over with a final round 69.